AT&T revealed during a presentation in New York to investors that it will use its acquisition of Time Warner to roll out a three-tiered streaming service in late 2019. First tier. An entry-level option that will be “movie-focused” and include films from WarnerMedia’s catalogue. Third tier. The top level will be an option that “bundles content from the first two plus an extensive library of WarnerMedia and licensed content,” likely to include shows from HBO. John Stankey, chief executive of WarnerMedia, told reporters on Thursday that the ultimate goal is to have subscribers want access to all three tiers. The multi-tiered approach lets customers start at a price point that is financially comfortable for them but is intended to sow the desire to shell out more for original TV shows and access to WarnerMedia’s extensive collection of films and television series. AT&T CEO Randall Stephenson didn’t say how much each tier would cost. Disney -- which is set to become Hulu’s majority shareholder once its acquisition of 21st Century Fox is finalized -- is also gearing up to launch new streaming video service in 2019. Disney is reportedly looking to offer a digital bundle option for consumers that will include Hulu and ESPN+. Companies are rolling out streaming services in an effort to compete with Netflix, which currently has more than 137 million subscribers. AT&T’s DirecTV Now online streaming service is going to lose subscribers this quarter as well as next. Stankey said competitors like Netflix "should expect their libraries to get a lot thinner" over the next 18-24 months. "We are well positioned for success as the lines between entertainment and communications continue to blur," Stephenson said. "If you're a media company, you can no longer rely exclusively on wholesale distribution models. You must develop a direct relationship with your viewers. And if you're a communications company, you can no longer rely exclusively on oversized bundles of content." 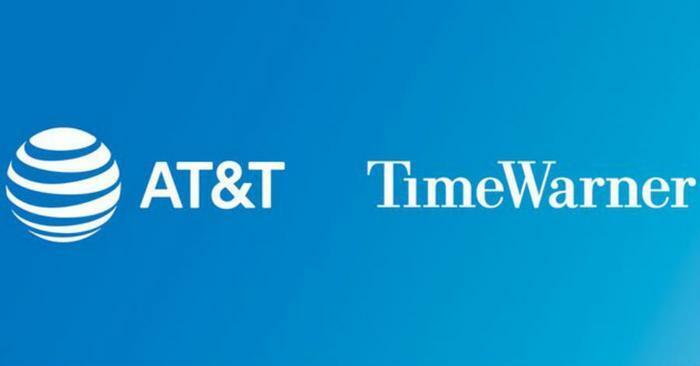 AT&T was given the green light to merge with Time Warner in June. The acquisition cost $84.5 billion.